Your cultural itinerary includes sights like Colosseum and Pantheon. The adventure continues: wander the streets of Trastevere, ponder the design of Trevi Fountain, appreciate the extensive heritage of Piazza Navona, and steep yourself in history at St. Peter's Basilica. To find reviews, where to stay, photos, and tourist information, read our Rome trip itinerary website . Cairo, Egypt to Rome is an approximately 7-hour flight. You can also drive. Due to the time zone difference, you'll gain 1 hour traveling from Cairo to Rome. Traveling from Cairo in January, things will get little chillier in Rome: highs are around 15°C and lows about 4°C. Wrap up your sightseeing on the 1st (Fri) early enough to travel to Paris. Satisfy your inner culture vulture at Le Marais and Montmartre. There's much more to do: admire the masterpieces at Louvre Museum, take in panoramic vistas at Eiffel Tower, wander the streets of Saint Germain des Pres Quarter, and pause for some photo ops at Arc de Triomphe. 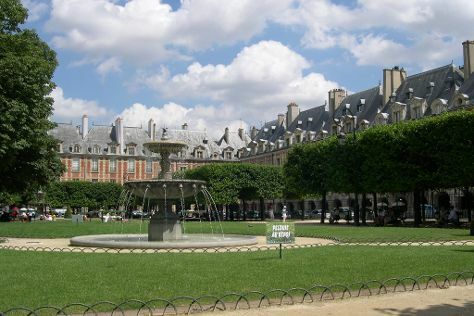 To find reviews, photos, maps, and tourist information, read Paris tour builder . Do a combination of flight, bus, and train from Rome to Paris in 5.5 hours. Alternatively, you can fly; or drive. Traveling from Rome in February, expect Paris to be a bit cooler, temps between 9°C and 1°C. Cap off your sightseeing on the 5th (Tue) early enough to travel back home.